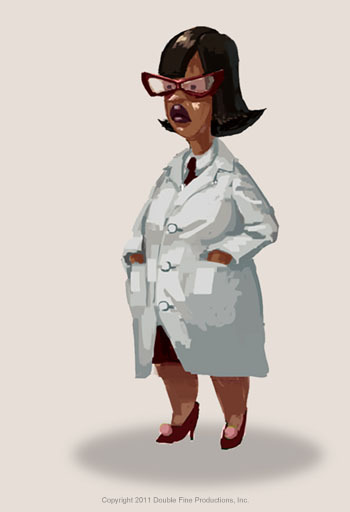 Here are a couple of fine pieces of concept art from the game I'm making with the amazing folks at Double Fine. I'm so excited. This is an idea that has been in my head for a long long long time. It predates Maniac Mansion and Monkey Island. It's a game that needed to be made. These are two of the playable characters. That's all I can say right now, but more will follow later. UPDATE: I just want to clarify, these are not from the kickstarter adventure game, these are from the game that is the real reason I'm at Double Fine. 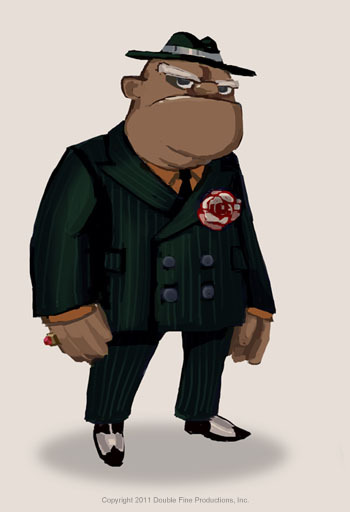 UPDATE 2: The Mobster was cut from the game a while ago. It's why it's called concept art.